Spray muffins pans with nonstick cooking spray (12 count). In a large bowl, mix together flour, cornmeal, soy flour, sugar, baking powder and salt. Combine soy milk, eggs and oil; add to dry ingredients and stir just until moistened. 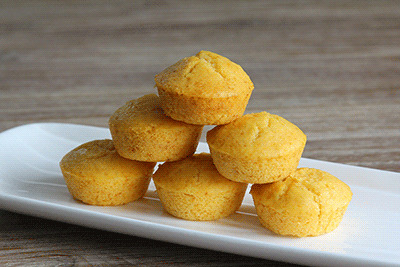 Fill muffin cups evenly with batter. Bake for 20 minutes. Cool on wire rack.